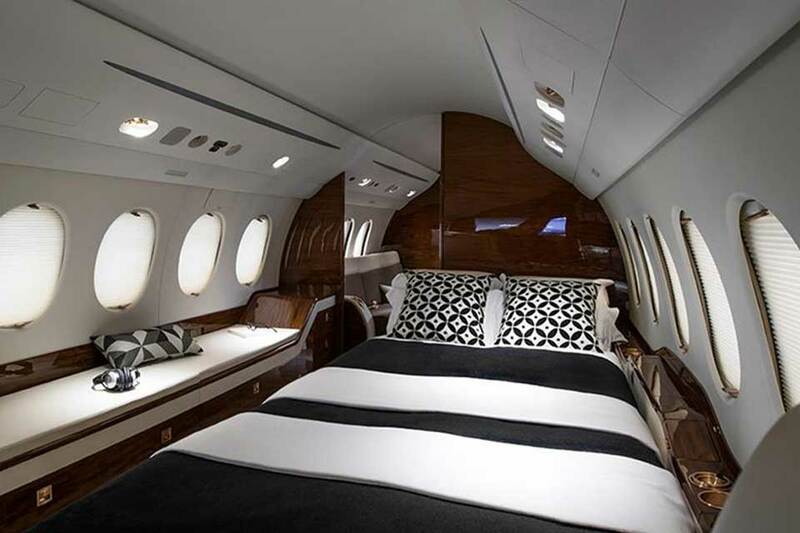 Charter the Falcon 7X with Falcona for your next business or leisure trip. 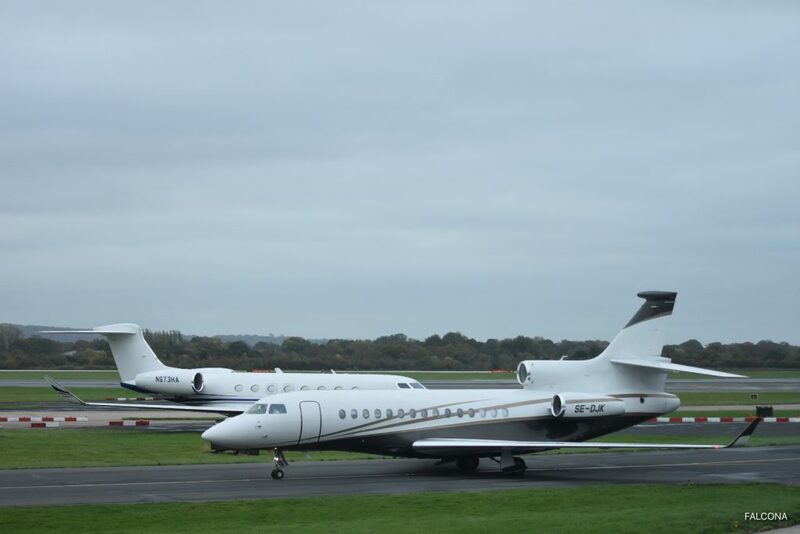 The Dassault Falcon 7X is a large-cabin, long range business jet manufactured by Dassault Aviation. A favourite with passengers due to its range space and comfort. It also looks great on the ramp with its three engines, making it stand out from the rest. In addition to ample space, the cabin is the epitome of comfort. Features include lower noise levels, larger windows and advanced temperature monitoring. The Falcon 7X is the perfect business jet for the discerning traveller. 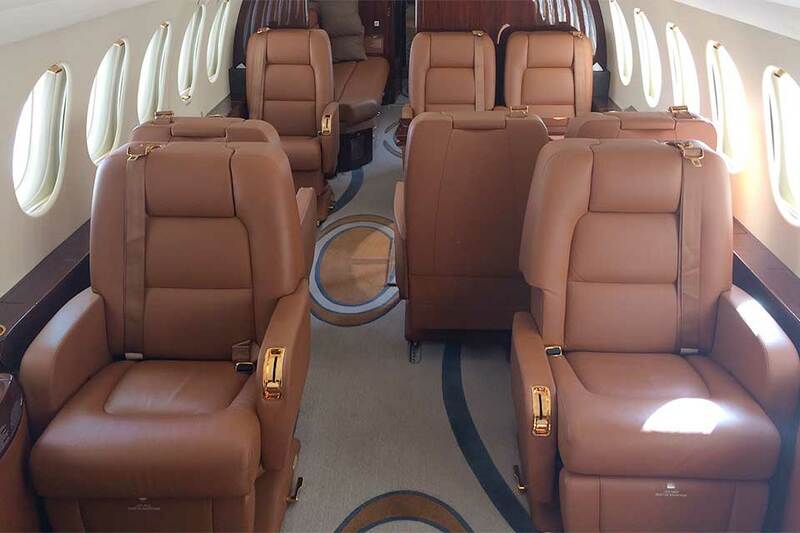 You will fly in style on the first fully fly-by-wire business aircraft. Packed with features and finished to a very high standard, this example’s luxurious interior and equipment upgrades enhance the model’s unsurpassed reputation for style, business efficiency and comfort. One of the most advanced aircraft ever built, the Falcon 7X provides long range comfort and capability with an excellent and proven level of reliability. 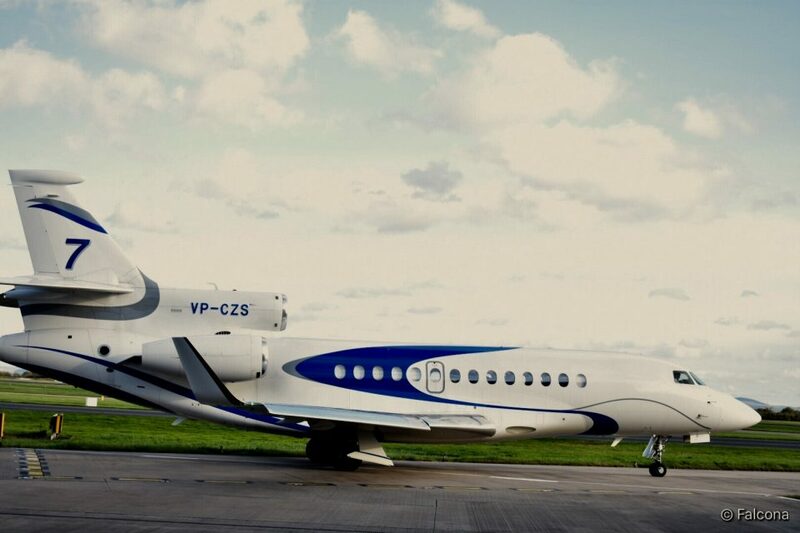 The Falcon 7X has the ability to fly 6846mi/11019km/5950nm – far enough to pair most major cities such as Paris and Tokyo, London and Johannesburg. The cabin is a spacious and relaxing environment. Maximum headroom of 6ft 1in and a width of 7ft 6in provides passengers with an impressive amount of space. The 7X cabin is split into three lounges that can be configured to seat up to 16 passengers. 28 large windows allow natural light to flood throughout the cabin – creating a more natural environment. Advanced acoustics reduce exterior noise in the cabin to 52 dB – further increasing passenger comfort. 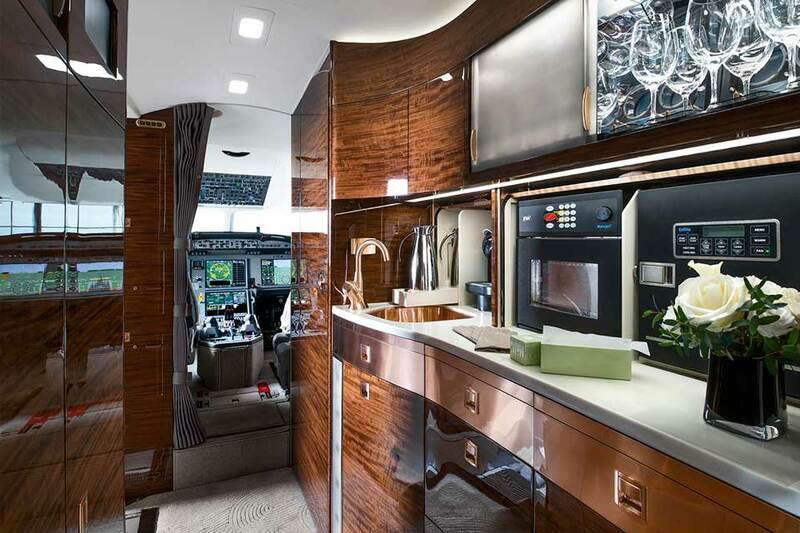 Cabin features include adjustable seats, a stand-up lavatory, a full-length wardrobe, a full size galley as well as the option the fit either a second lavatory or a shower. In terms of technology, the 7X supports connectivity with portable media devices as well as providing a media server for music and videos. The number and size of cabin windows have been increased to provide 40% more natural light and the cabin now features a large baggage compartment as well as a forward galley and forward (crew) and rear (passenger) toilets. A cabin pressure of just 4800ft alongside an air humidifier reduces the effect of jetlag whilst allowing passengers to stay refreshed. The seating layout comprises of a forward and central club four and a rear 6 place double divan. The seats can be converted to sleep 6 in an order of 4 singles and a large double. The aircraft includes a flight attendant who can offer a wide range of catering options suitable to all passenger requirements. The aircraft is fitted with all the latest modern electronics for passengers comfort including DVD players, Sat Phone, Airshow monitors and Multifunction cameras displayed on the cabin monitors. 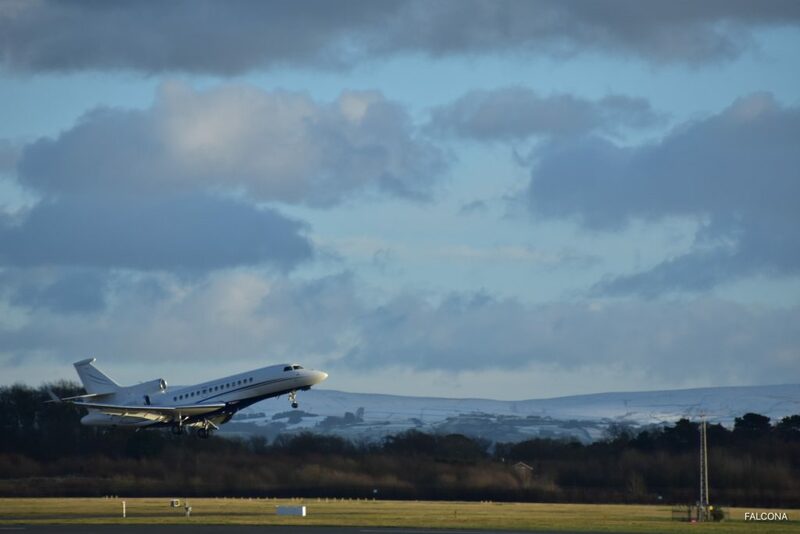 Large jets are usually restricted as to where they can land due to their size and to the speed needed for approach. Due to the three-engine design of the 7X, the approach speed is only 119mph/193kph – allowing the aircraft to land more quickly – enabling passengers to access a wider variety of smaller airfields compared to other large jets. The 7X’s maximum ceiling is 51,000ft and maximum operating speed 370kt. Sea-level standard day take-off distance with eight passengers and full fuel is 1,680m, and the landing distance (unfactored) with NBAA reserves is an eye-wateringly short 670m. Extended-range operation over water for business jets (equivalent to ETOPS for airliners) is still a complex subject given the regulations under which the aircraft operates: private, charter, commercial, EASA or individual national ones. The 3 engine allows you to fly a more direct route over water, for instance Manchester to Jamaica.